Motorola gives an annual treat to fans of the budget Moto G series and this year’s edition has four variants – Moto G7, Moto G7 Plus, Moto G7 Power, and Moto G7 Play. The quartet was unveiled at an event held in Brazil on February 7, 2019, but the availability of the phones varies in various markets. In the U.S., only three are available, namely the standard Moto G7, Moto G7 Power and Moto G7 Play. Of course, you can grab the Plus variant from platforms like Amazon, but unlike the other three, you won’t be able to use it on carriers like Verizon Wireless and Sprint. That said, here’s everything else you need to know about the Moto G7 series., including the latest news, their specs and features, pricing and availability, cases and accessories, and so on. April 18, 2019: Motorola is reportedly lining up a major update to the Moto G7 Plus camera app. Dubbed Night Vision, it’s possible that this is a dedicated night mode for the camera app that will be used to enhance low-light photography. We still don’t know if this feature will also be released for the standard Moto G7, Moto G7 Play, and Moto G7 Power, but even if it does get past the Moto G7 Plus, it’s unlikely the latter two would get it. 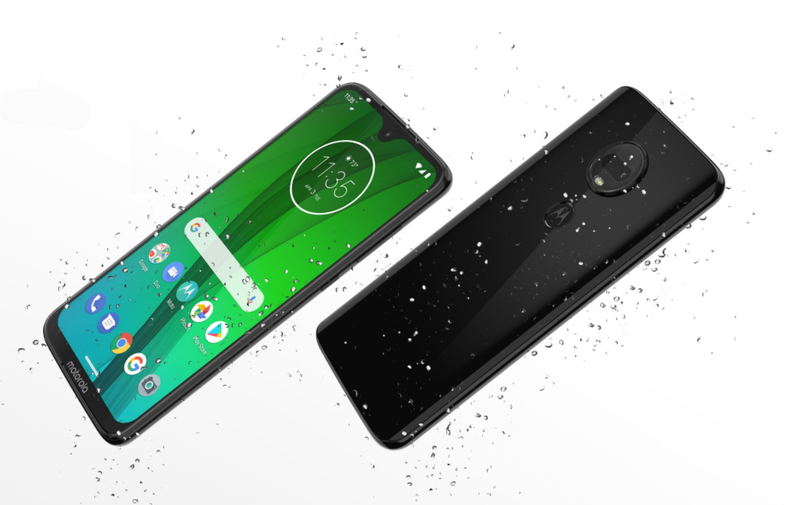 April 05, 2019: Moto G7 Play starts selling in the U.S.
After weeks of waiting, the most affordable variant in the Moto G7 series, the Moto G7 Play, has arrived in the U.S. For those still in the dark, the Play variant costs $200 and brings you things like a 5.7-inch HD+ display screen, a Qualcomm Snapdragon 632 processor, a 3000mAh battery unit, USB Type-C, 3.5m audio jack, a rear-mounted fingerprint scanner, face unlock, pre-installed Android 9 Pie, and more. Google has opened up the Call Screen feature to non-Pixel phones and Motorola’s Moto G7 family is among them. With Call Screening, users of either Moto G7 handset will be safe from spam callers with a little help from the Google Assistant. Even better is that the G7 family will also enjoy goodies of Digital Wellbeing after a software update, a feature that Pixel users have had for months now. The Moto G series continues to wow fans of the budget segment with its relentless pursuit of greatness at affordable pricing. The Moto G7 specs are more solid than what we got on the Moto G6 series, with all three variants coming to the U.S. sharing the same Qualcomm Snapdragon 632 processor but with a few tweaks here and there to help justify their price tags. Unfortunately, none of these phones supports NFC connectivity, but this doesn’t negate the fact that they are great pieces of hardware. Below are the specifications of the standard Motorola Moto G7. Extras: Bluetooth 4.2, 3.5mm audio jack, USB Type-C, Rear-mounted FPS, Face unlock, 15W TurboPower fast charging, etc. 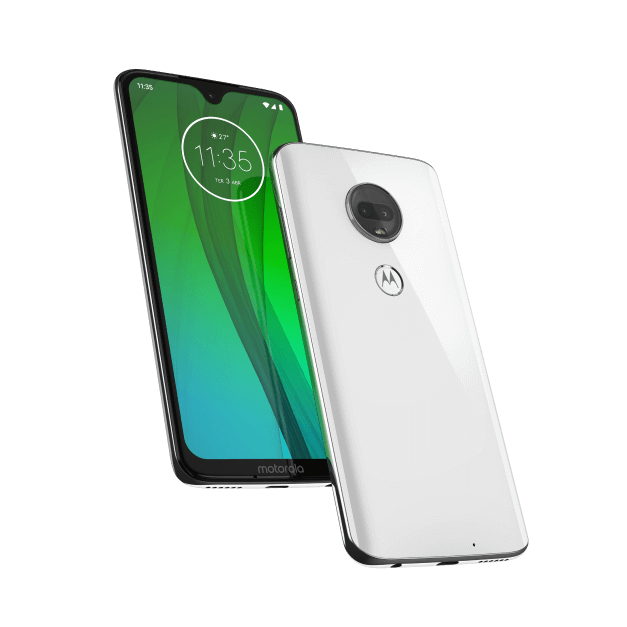 Traditionally, Motorola Moto G devices are a target for the budget spenders and the case still stands for the Moto G7 family. The Plus variant is the most premium model while the Play variant is the most affordable. It’s worth noting that while the purchase links for the Moto G7, Moto G7 Power and Moto G7 Play in the table above will get you a device that works on all U.S. carriers, the Moto G7 Plus link gets you an international model that only supports GSM carriers like AT&T and T-Mobile. Be sure to keep this in mind when buying these phones. The Moto G7 series was unveiled in early 2019 but started selling at different intervals, with the Moto G7 Play the last to join the party in early April 2019. As usual, plenty of deals are flying around, but we’ll only be listing the best ones below. The Moto G7 series might be a budget family of phones, but looking up their sleeves, there is nothing budget about them – or at least for the standard and Plus variants. Still, you’ll need to up your game in order to fully explore the powers that be and to help you around, we have some tips and tricks below. Motorola’s approach to Android software is regarded as one of the best. But not even the best is perfect, which is why the Moto G7 handsets still need software updates from time to time to improve performance, fix bugs, introduce new features, or even upgrade to a new Android OS. Note: Motorola Moto G7 Power and G7 Play software update pages are coming up shortly. The Moto G7 series has a great build with new materials, especially for the standard and Plus variants, but this doesn’t mean slapping a case on either will take away anything from an otherwise beautiful phone. There is nothing wrong with having a case on your phone, BTW! Once again, all Moto G7 variants but the Moto G7 Plus are available officially in the U.S., but as noted, you can always grab the Plus variant from Amazon and use it on GSM carriers.